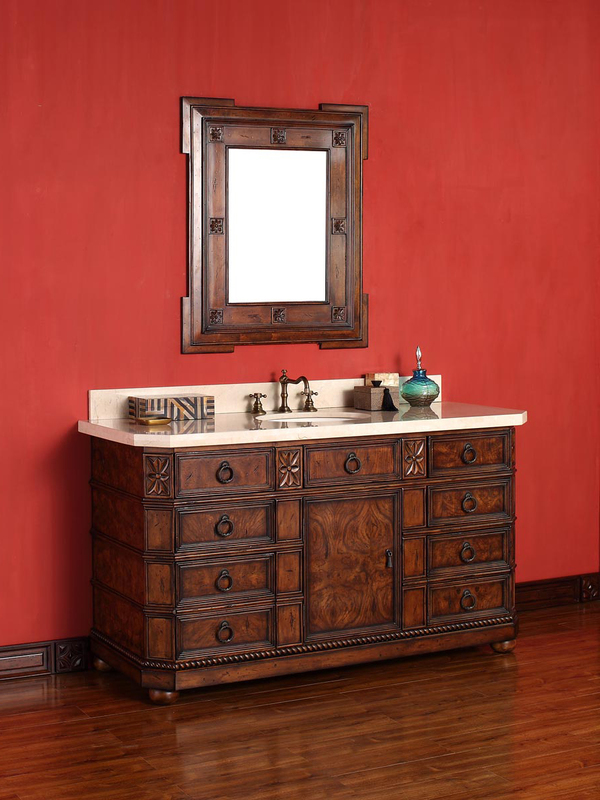 Make your bathroom stand out among all the same, boring styles with the 60" Regent Single Bath Vanity. 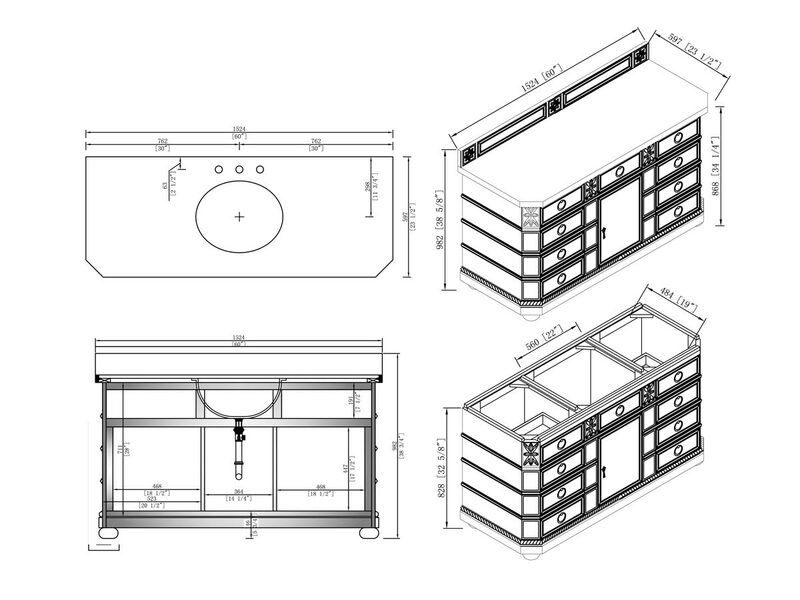 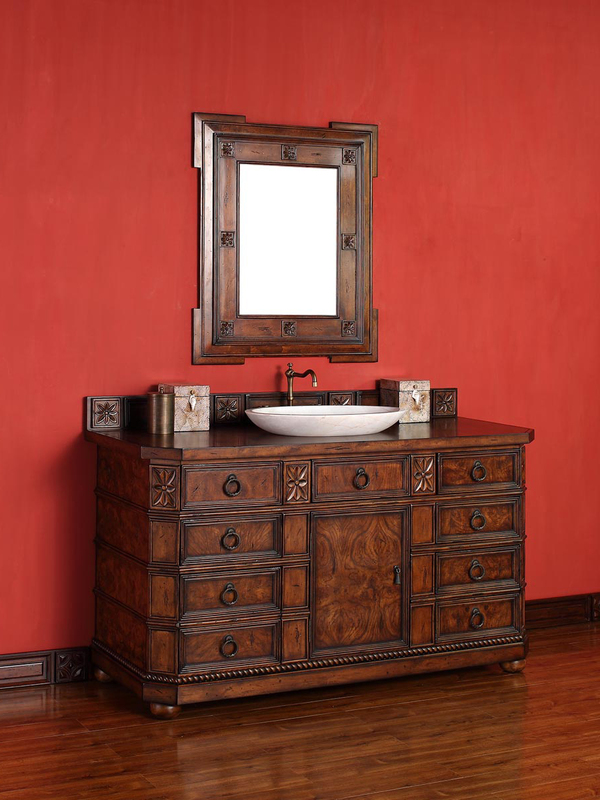 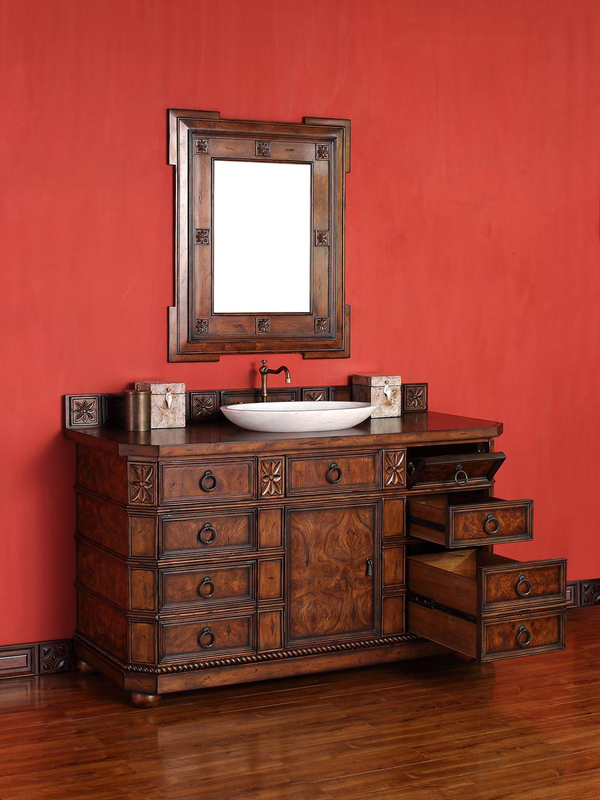 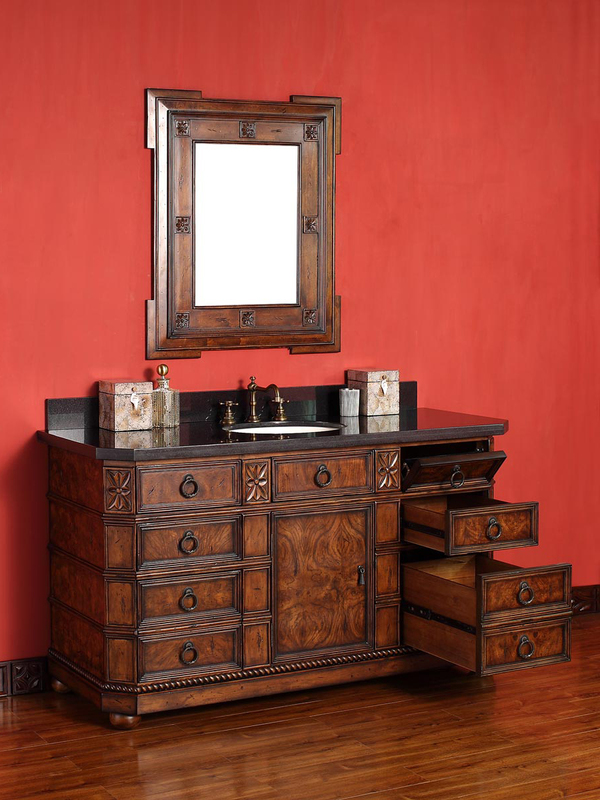 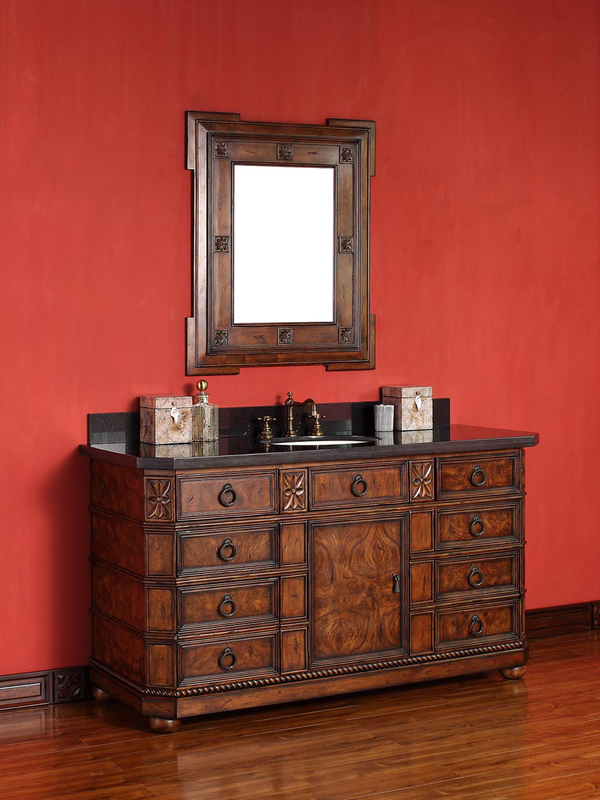 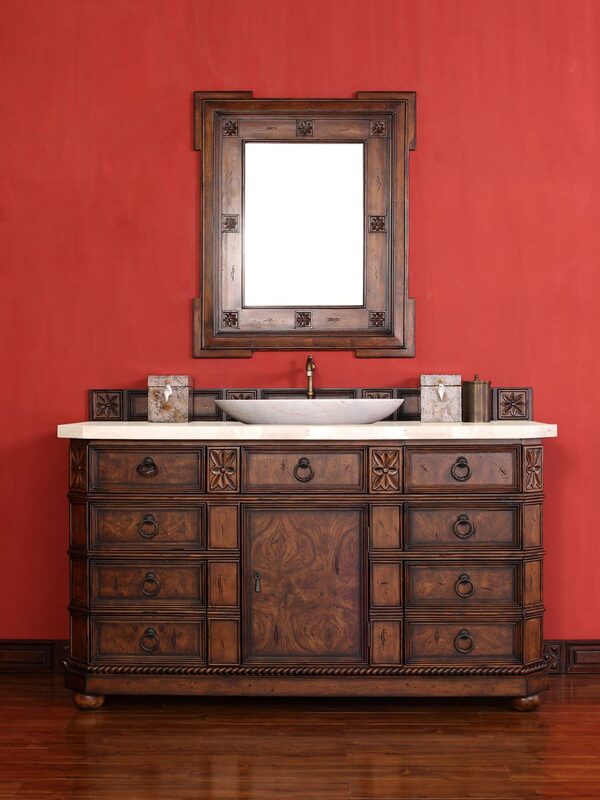 With this vanity, it has its own style, its own character and beauty. 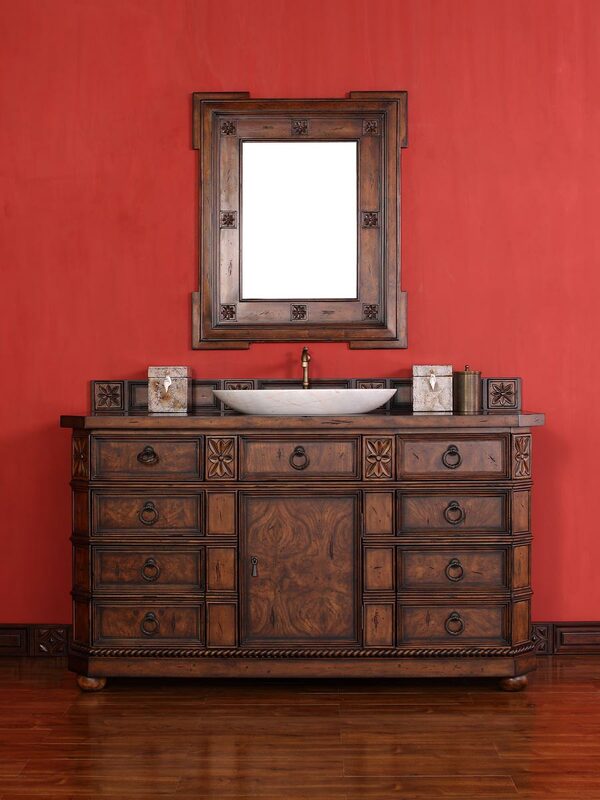 Made form solid ash and birch wood, the Regent boasts an English Burl finish that's matched with hand-carved details. 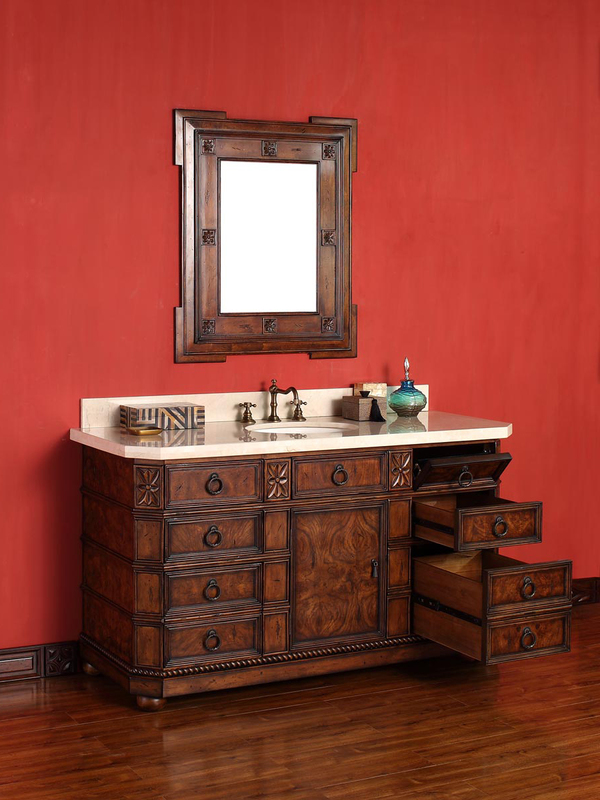 For storage, two small drawers, two large drawers, two hide-away drawers, and a single-door cabinet offers plenty of space. 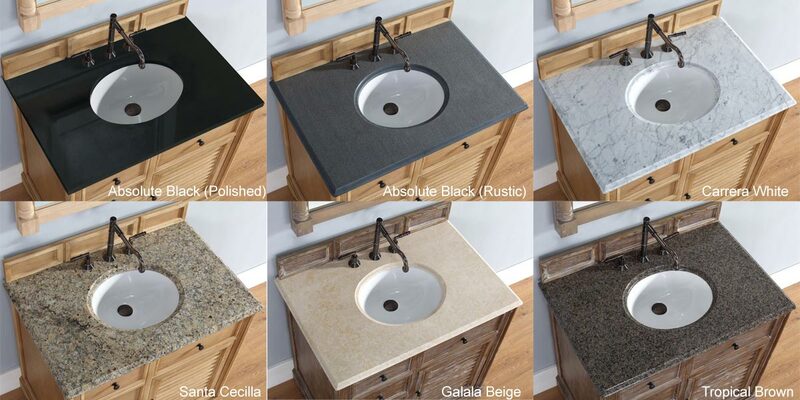 Seven spectacular top options are available for you to choose from, while a matching mirror completes the unique appeal of the Regent Vanity.